Under the general direction of the Vice President, supervises procurement and contract administration staff in performing post-award administration for Construction and Architecture/Engineering; serves as a contract administration resource for staff, DECM, PEPD and others outside of the department. Performs the full range of supervisory duties involved in the review, preparation, finalization, analysis, and administration of agreements and contracts in area of assignment for the Agency; leads or assists Agency departments and project managers in selection of procurement and contract administration methods and strategies; administers contracts in compliance with all state, federal and local regulations and laws including analysis and administration of indirect and direct cost rates; supervise staff in the post award administration of contracts and assistance of the solicitation of associated contracts; responds to questions and issues and provides technical expertise and assistance related to associated agreements and contracts; performs post award contract administration and close-out. The position is responsible for supervision and management of contract work while managing and controlling the complexity and risks associated with the contract. Assist in the preparation and analysis of reports for Leadership. The following is a summary of the primary duties and responsibilities. Incumbent(s) may not be required to perform all duties listed and may be required to perform additional, position-specific duties. Oversees the Post-Award Phase in the contract life-cycle. Supervises and reviews the daily work of assigned staff; assigns work activities and coordinates schedules, projects, and programs; supervises, coaches, trains, motivates and evaluates staff; Establishes training and professional development plans for each employee to promote continuous performance improvement. Collaborates with Contract Specialists and project managers to define contract requirements; and ensures proper contractual guidelines and policies and procedures are followed in the procurement process. Bachelor’s Degree in business administration, public administration, contract management, construction management, or closely related field and 3+ years experience in public construction, architecture-engineer (A&E) contracting or contracting services that includes the full range of contract administration, OR an equivalent combination of education and experience. Minimum two years supervisory experience or equivalent experience in a team lead capacity. Industry principles and practices in Architecture & Engineering (A&E) and Construction contracting. Principles and practices of contract administration in the public sector including application and administration of direct and indirect costs, invoice review, change management, and close-out. Contracting laws, regulations, and best practices. Contract cost and price analysis principles and practices. Contract administration principles including those related to management of scope, schedule, and payments. State and federal contracting requirements including Federal Transit Administration or Federal Highway Administration requirements, and Federal Acquisition Regulation. Principles and practices used on complex contractual actions. Mediation and negotiation principles and practices. Project management techniques and principles. Supervisory practices, principles, methods and techniques. Establishing and maintaining effective working relationships with other department staff, management, vendors, outside agencies, community groups and the general public. Performing a full range of duties involved in participating in the services and activities within the Procurement and Contracts Division. Preparing complex contracts, agreements, and management reports. Negotiating and identifying solutions that balance the Agency’s interests and those of the negotiating partner(s), within financial capacity and other constraints. Excellent written and oral communication skills demonstrated by formal presentation experience and report preparation. 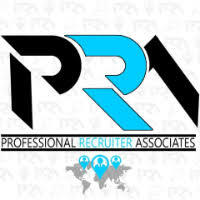 For immediate consideration, please forward a copy of your current resume to info@profrecruiters.com referencing job #1723 or a link to this job.